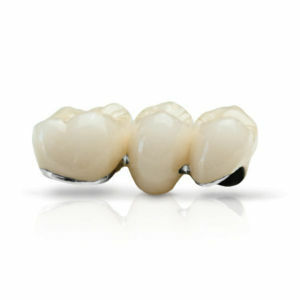 Porcelain fused to metal restorations can be fabricated from high noble alloys, noble alloys, or non precious alloys. Our ceramist team members have a thorough understanding of dental anatomy and can match your prescription and shading requirements exactly. We use the highest quality of porcelain available to achieve natural looking esthetics.